Coaches give injury reports all the time, but they usually don’t include themselves. 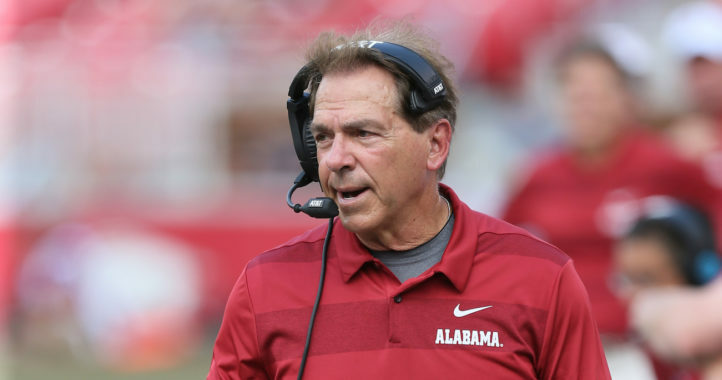 In his press conference after Alabama’s spring game, Nick Saban revealed he’s dealing with a “struggling” hip which could have him limiting his activity for 6-8 weeks this offseason. 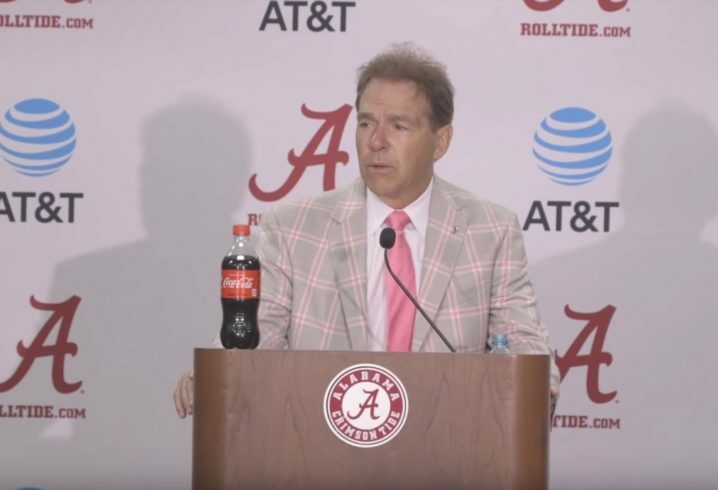 “I have one announcement to make,” Saban said. “I’ve been struggling a little bit with one of my hips, and even though they don’t make them like they used to and most players would not to be able to perform in spring practice like I did if they had a similar situation, but nobody could even tell, but I might not be able to play golf for a few weeks. We’re going to do an evaluation of this at the end of spring, but they say even if it’s the worst case scenario, it may be six or eight weeks. But I can still cut a rug and cut them off, I can do whatever I need to do. I can still play golf. But this has a little bothersome, and I don’t want to go into the fall with this being a problem. 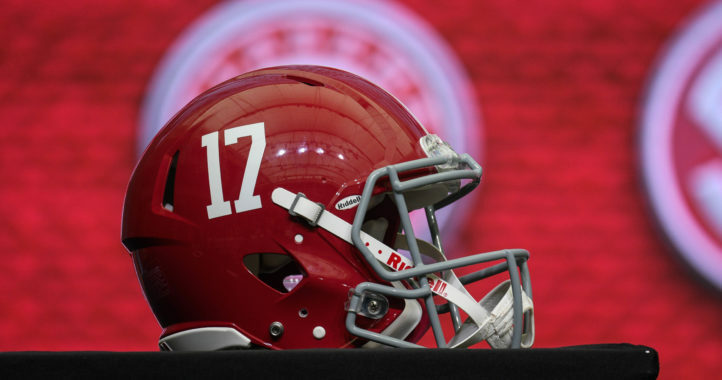 Saban, 67, is entering his 13th season as the Crimson Tide head coach. Less time on the golf course for Saban will presumably mean more time watching game film or evaluating recruits. 1. Is he being sarcastic? 2. If Saban admits he has an injury, then it’s probably to the point to where his doctors are trying to convince him to stay bedridden for a week. 3. You really tried suggesting that Sabana would let his golf overshadow his maximum time allotment for recruiting and game prep? I’m not sure if this is a rest situation or a surgery situation. Worst case scenario, a hip replacement may be in order. I had one in 96. Fairly easy recovery when you’re in good health. He obviously is. Do you think when he said he wants to get it ‘fixed’ he meant rubbing a little dirt and spit on it and sit out a couple of weeks from golf? Most people would think ‘fixed’ would mean surgery. You continue to amaze the readers on here.